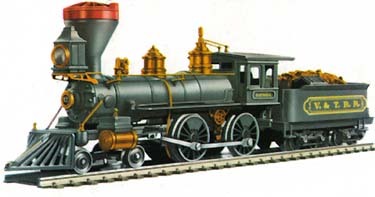 This AHM Oldtime Steam Locomotive offering sold for $14.95 according to the company's 1967-68 catalog. AHM's 1980 price sheet has the Genoa selling for $79.98. 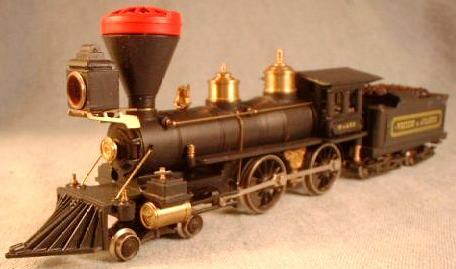 The Genoa was made by Pocher from AHM in Europe. The Genoa shares design with the Reno in the AHM line for both the original 1968 issue and the 1970 release. AHM showed a shared design among the American, Genoa, Reno, and Inyo for the period 1974-77.